Lorenzo loves to play outdoors! Piptree Heritage Park cares greatly for our local community. It’s what makes this part of Brisbane so special. We’re always looking for ways to actively engage with local businesses and charities, and get involved in local events. By contributing and celebrating together, we make our community even better! Children at Piptree Heritage Park learn Spanish through the ELLA program. It is a child-centred program specifically aimed at preschool children in the year before school. 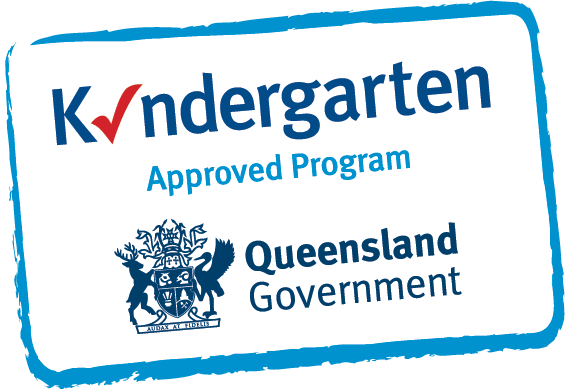 It includes a suite of materials, including apps, resource materials and educator support networks to support the effective delivery of early language learning in preschools. Billy’s Buddies come to our centre every Thursday morning. This rugby program develops hand-eye coordination, confidence and self-esteem. It’s the perfect mix of fun and structure! Tee’s Twinkle Toes Fitness provide a program that does it all, Dancing, Sports, Drama, Creative Movement, Yoga and Music. The program takes your child to amazing places where their imaginations run wild. Tee’s Twinkle Toes Fitness come to our centre every Wednesday. Zen Little Yogis come to our centre every Monday. The Kids’ Yoga program guide children to being calm, courageous and kind. This quality heartfelt yoga includes stretches and exercises, fun games, relaxation and breathing techniques to create a calm mindset, and activities that increase self-awareness and boost confidence. Read It Again – KindergartenQ! is designed to strengthen children’s early foundations in four key areas of language and literacy – vocabulary, narrative, phonological awareness and print knowledge – skills found to be among the most important in preparing young children for later success in reading. The summit enhances opportunities for effective partnerships, through establishing sustainable relationships between Early Learning Providers, Schools and other Family & Early Years Services. The group shares ideas and workshops on our School Readiness – Logan West Cluster perspective, in the 5 AEDC domains. Piptree Heritage Park participates in the Prep for Success program with Yugumbir State School in terms 3 and 4. I’m happy I picked this daycare I’ve been 110% happy with this daycare lovely staff, always clean and my daughter is so much more happier at Piptree. We are so grateful for your continuous care of our Luka. We are thankful for your outstanding care and appreciate that you have made him feel so comfortable since day one. He loves Pips and so do we. 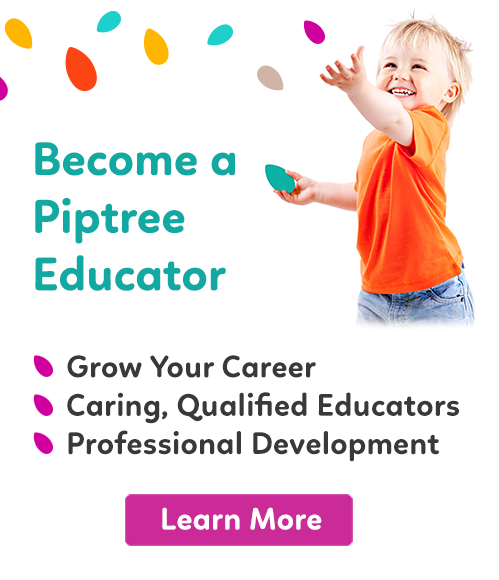 I just love Piptree🌲day-care , the staff are brilliant 🤙 and there is always different things happening, a great variety of learning facilities. Highly recommended. Amazing amazing amazing!!! Educators are all so beautiful to the kids.! Very clean & tidy! My daughter loves going to daycare.!! I cannot recommend enough.! !